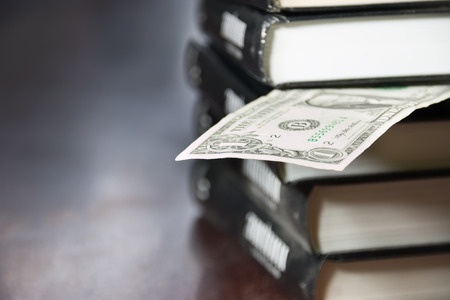 What if Indie authors, as a community, developed a method for fair ebook pricing? Have you thought you would save paper and money by purchasing an ebook, only to find it is almost the same price as the print version? Have you noticed that this price inflation usually happens with traditionally published books, yet Indie authors get grief for charging $2.99 instead of $.99? If a Big Six publisher can charge $9.99 for an ebook, why do Indies get flack for charging $4.99? Why is it some Indies charge $4.99 for a 150-page book while others charge $1.99? It seems like an ethical pricing structure is overdue. Most Indies consider the standard pricing structure for ebooks to be 99 cents for 0-99 pages, $1.99 for 100-199 pages, and $2.99 to $4.99 for larger works, depending on size and demand. For big books without filler, $4.99 is not unreasonable. Even at $4.99, an Indie author would only charge about half of what a traditional publisher does. If we are going to talk about pricing, we should also talk about a lack of it, such as in the form of free promos. And we should not be afraid to do it frankly. If a deeply discounted book is considered a bargain bin deal, what is a free book considered? If a store offers a book at 66% off, it seems like a great deal. After all, they are practically giving it away! (They aren’t. Everyone is still making something off of the sale. Also, they are charging something for it because it has value.) Putting a $2.99 ebook on sale for $.99 is the same, deeply discounted deal as throwing your book in the bargain bin, but at least you are making something off of that sale because the book has value. Why does Amazon allow you to give away books if they don’t make money off of them? Actually, they do make money. If that book is given away elsewhere, the customer will follow the deal; thus, if Amazon does not also offer the book for free, they could lose out on other sales. Amazon understands that even if the author doesn’t make a penny, they still can. The author, a.k.a. the one who did all the work and paid to create the product, is the one who loses. When you give away your book, you give away your entire product. Since it can easily cost a thousand dollars to write, edit, format, and create a cover, charging $2.99 for a 300+ page ebook is not unreasonable. An occasional sale of $.99 is fine, but do we need to lower ourselves by giving away our hard work? How many times have we seen resulting reviews like, “This book is terrible. Normally I would not have picked it up, but it was free”? Don’t forget the infamous, “I want to read that book so badly, but I will wait until it is free.” Really? For a book that costs less than a Starbuck’s fix? People will buy a liquid candy bar, and maybe even tip the staff for a minute of work, but they won’t spend less money on a book that will take them hours, possibly even days, to read. Why are we authors encouraging this behavior? Yes, this is our fault. We are enablers. If we would stop giving away our work, people would stop expecting to get something for nothing. They would also stop leaving bad reviews based on how much they hated a book they normally never would have considered opening but did so because we made it too easy. Many authors are concerned about exposure, and offering something for nothing is a great way to get attention. But in the case of a $.99 sale, consumers will actually read the blurb before buying the book instead of clicking because they like the cover, not to mention then leaving a bad review because the book did not gel with them. An undeserved bad review is not the kind of attention any author wants. If you still want to try a free promo, there is another option. By offering a short story related to one of your books, readers will get a taste of your writing along with a reason to buy something. And while you had to work to make that promotional short story, thinking of it more as investing in an ad takes the sting out of giving away your work. The system needs to stabilize. Charging even a small amount shows that we believe our product has value. Indies are often seen as people who produce bad work in an effort to swindle a fast buck. Imagine how uniting under a code of quality that reflects our value would help lift the stigma of being an Indie. We deserve to be taken seriously. What price will Kindle Worlds charge readers for stories? Amazon Publishing will set the price for most works between $0.99 and $3.99. Amazon is setting the price, and I don’t see the word free there. Amazon wants you to always pay for fan fiction. We should learn from this.